I am a professional Hair Stylist and I am currently at South Lanarkshire College doing my HND in Makeup Artistry. I want to branch out into the exciting world of Makeup Artistry and theater/television work. I want to transfer my passion for art, beauty and creativity into my career as a Makeup Artist. I am always on the lookout for young talented models for my work. 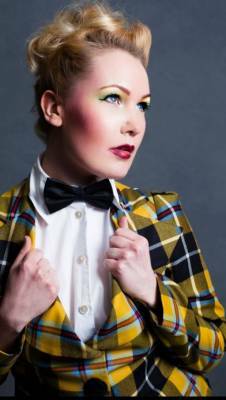 I am in my 1st year of my HND and I am experienced in both Classical and Avant Garde and mainstream makeup. If you are interested in mutual development for your portfolio and career please contact me.